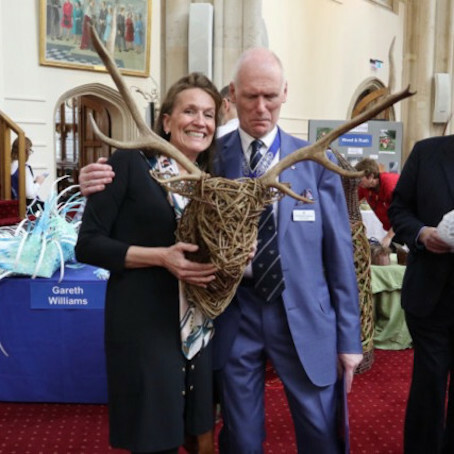 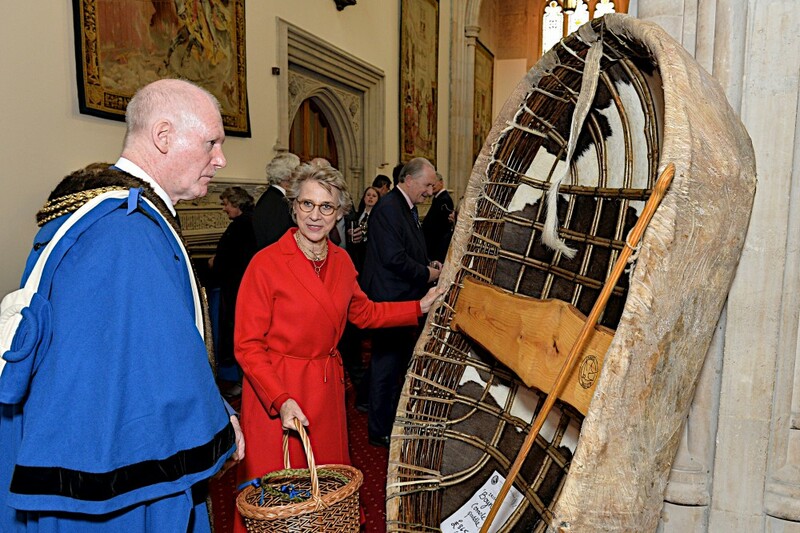 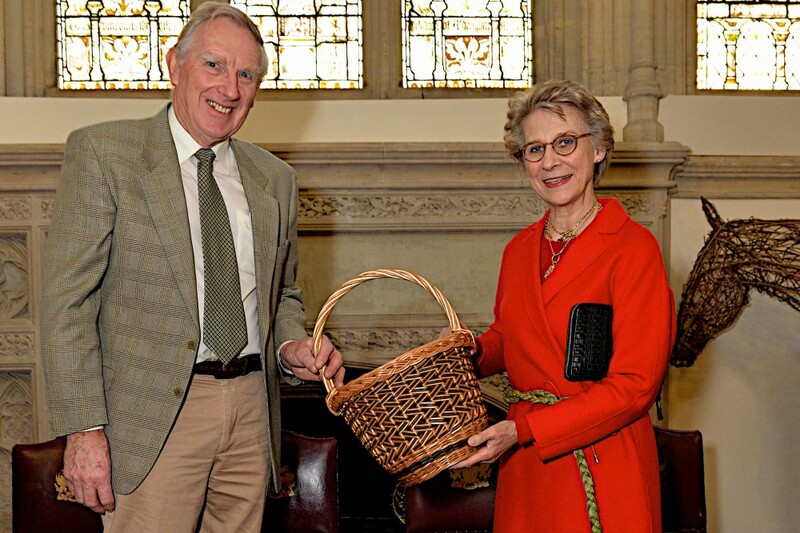 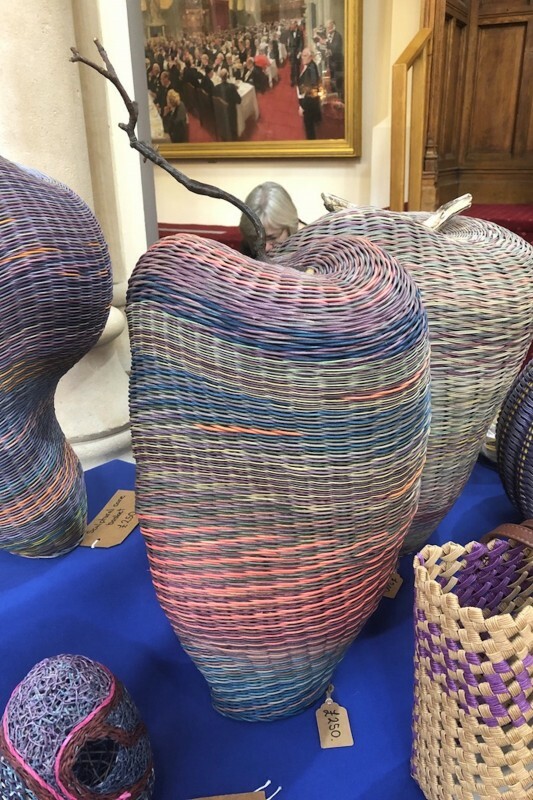 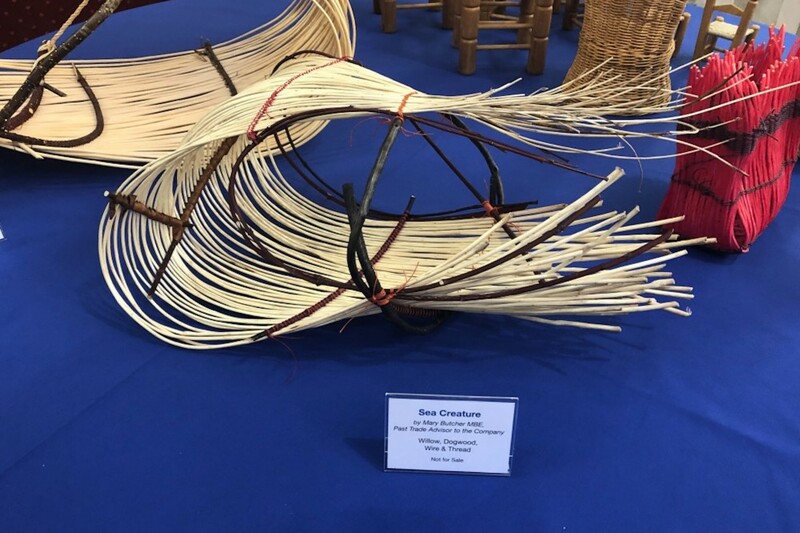 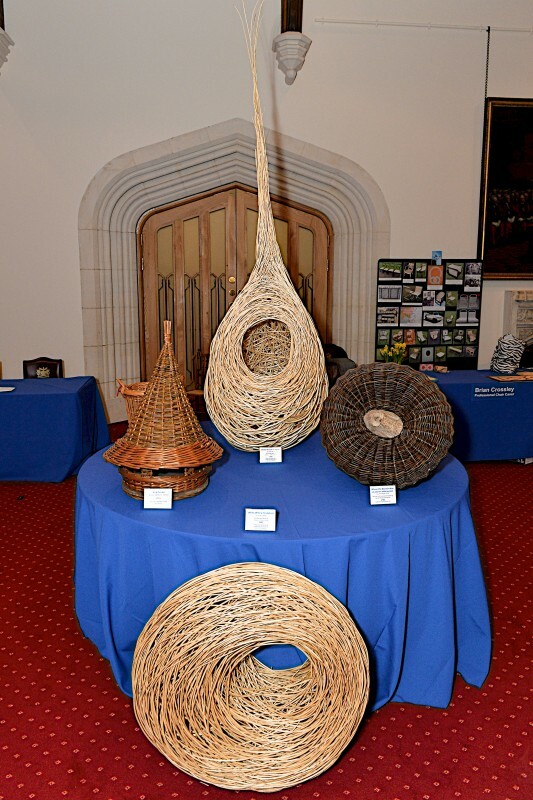 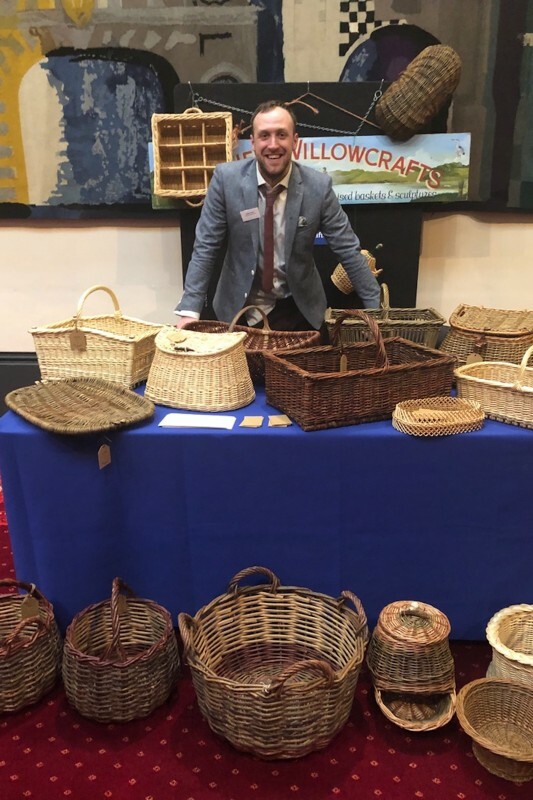 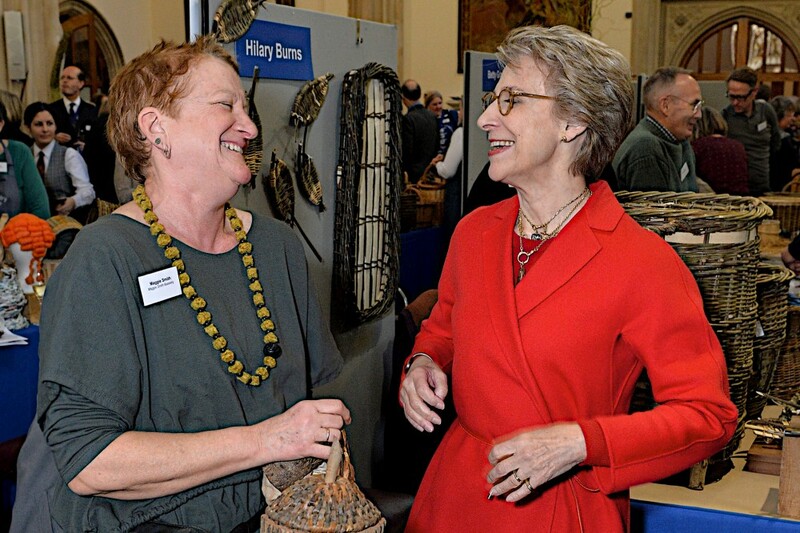 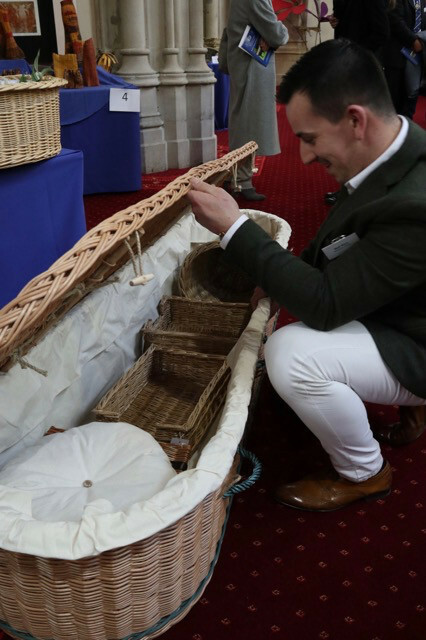 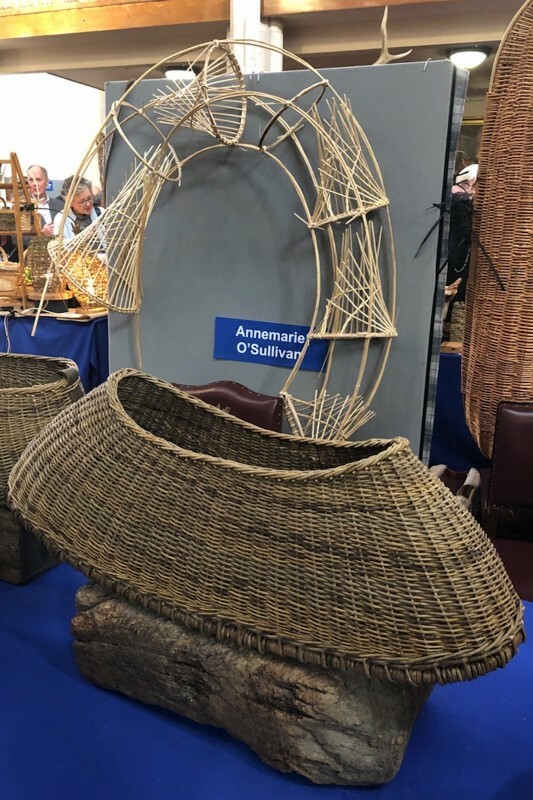 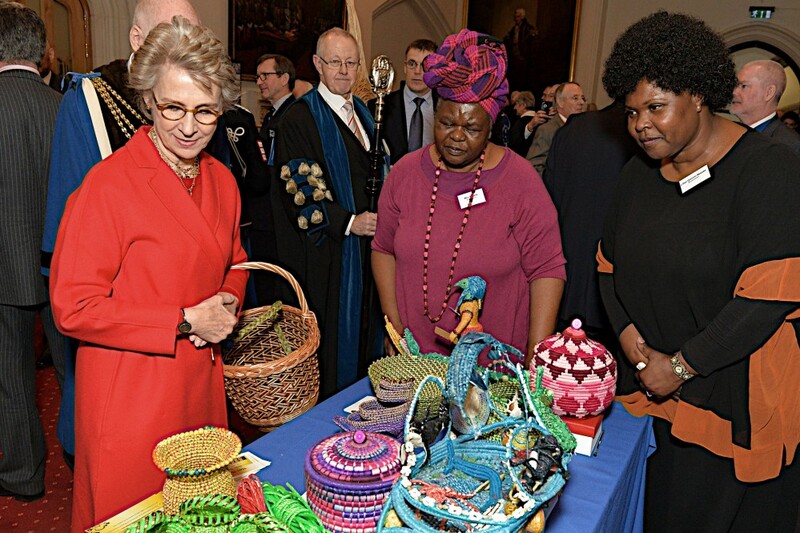 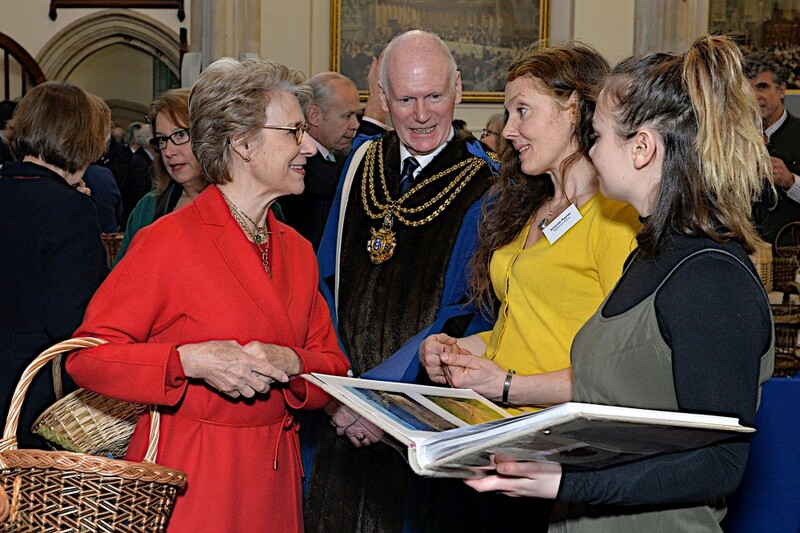 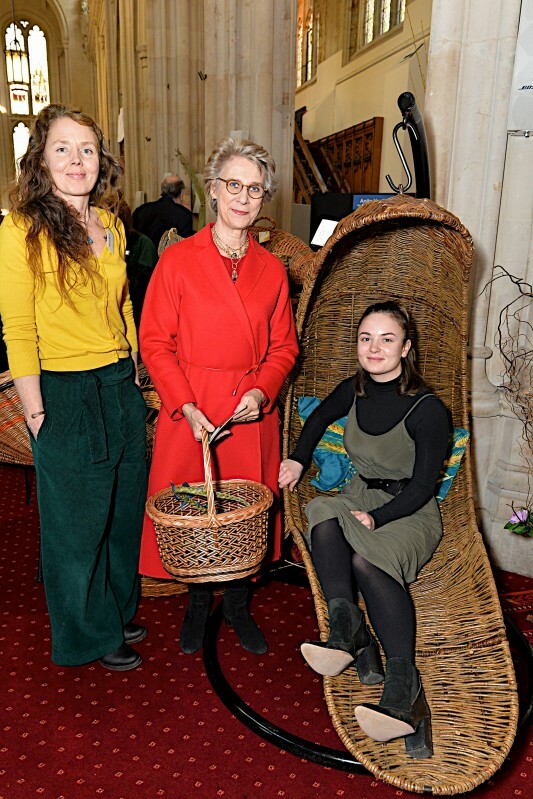 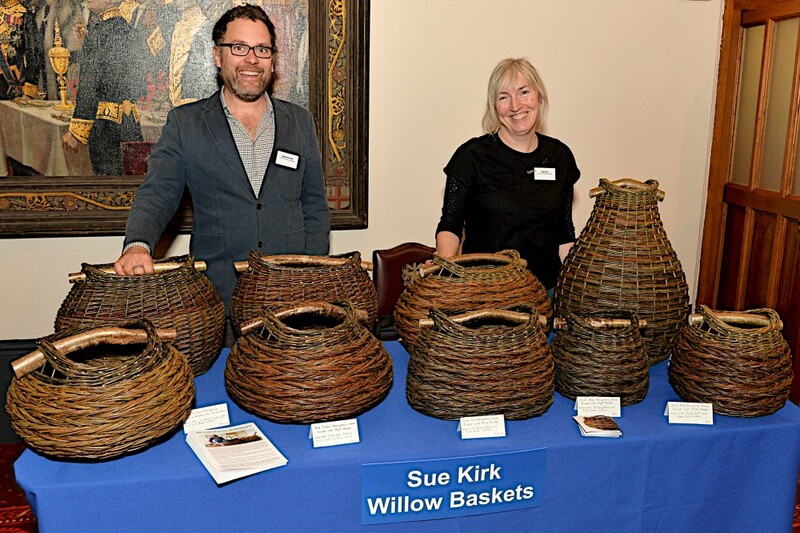 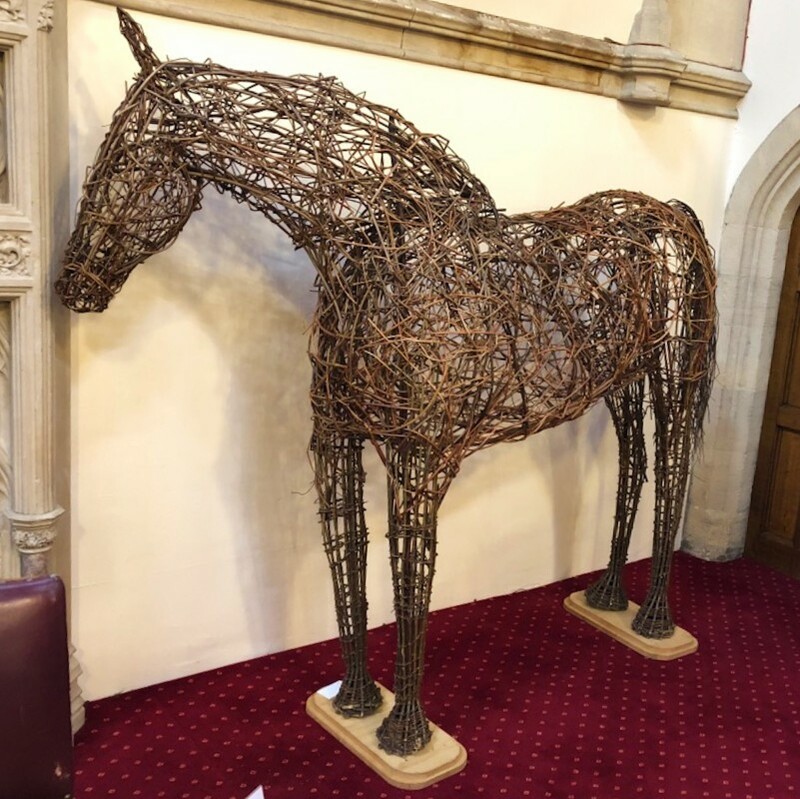 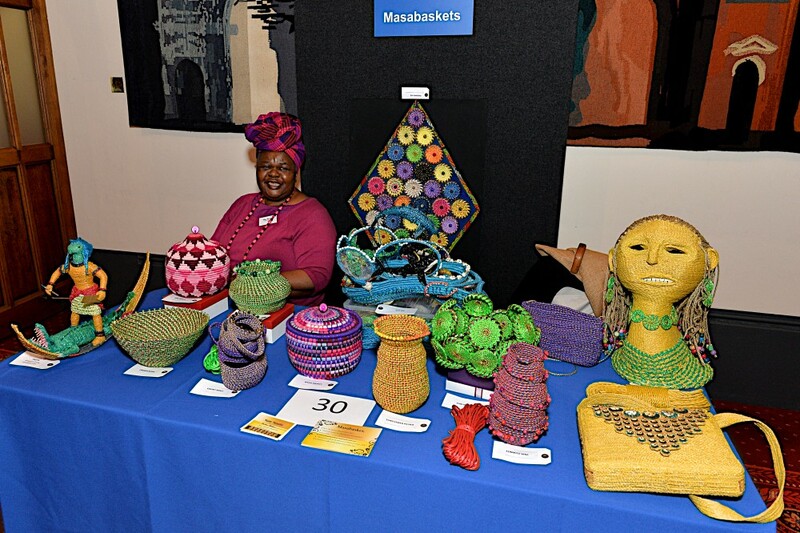 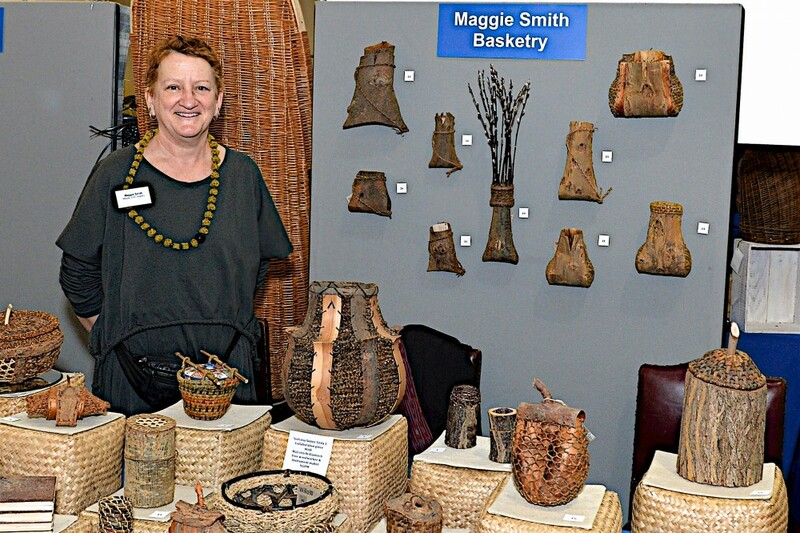 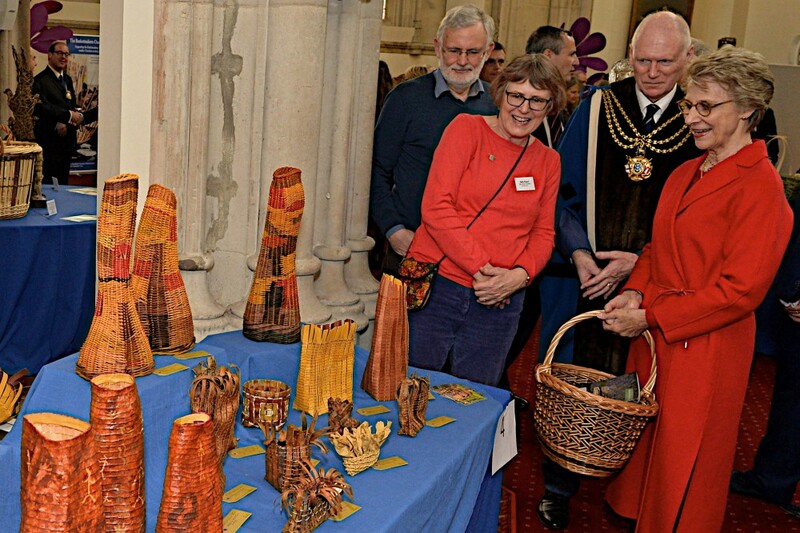 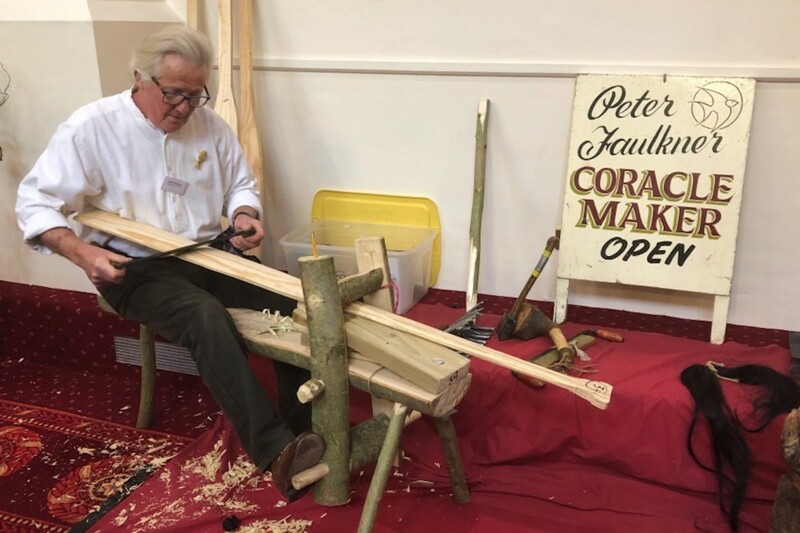 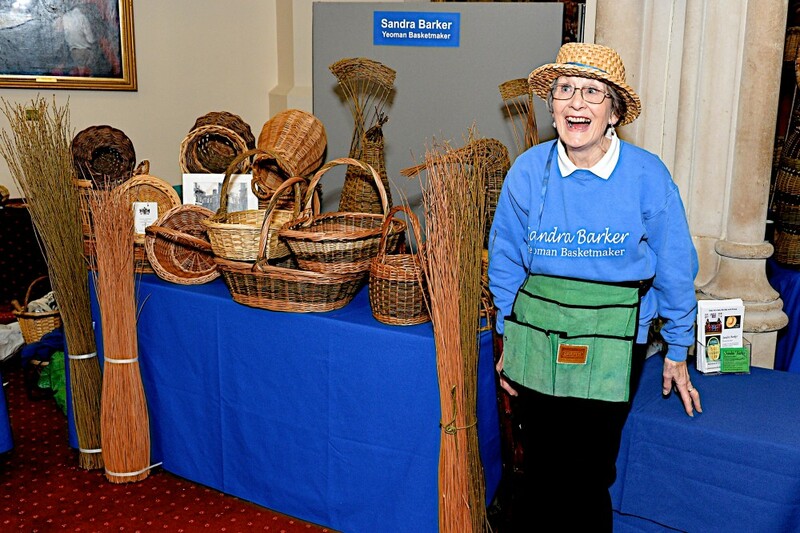 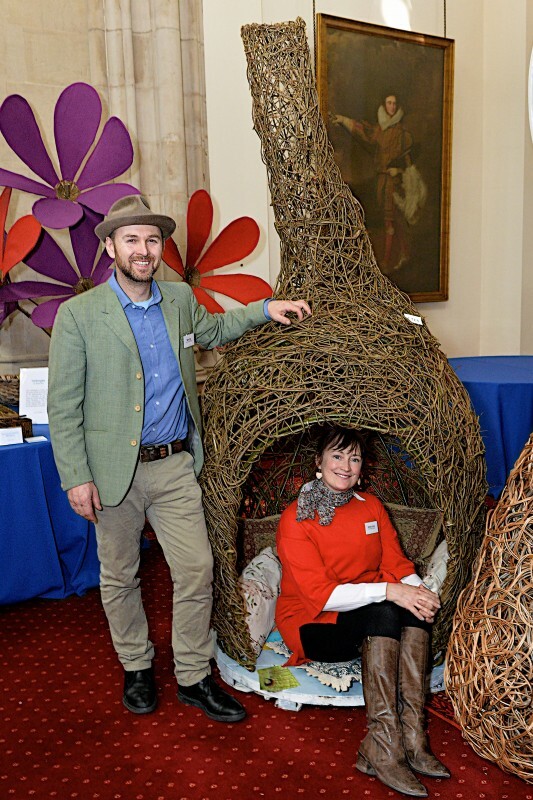 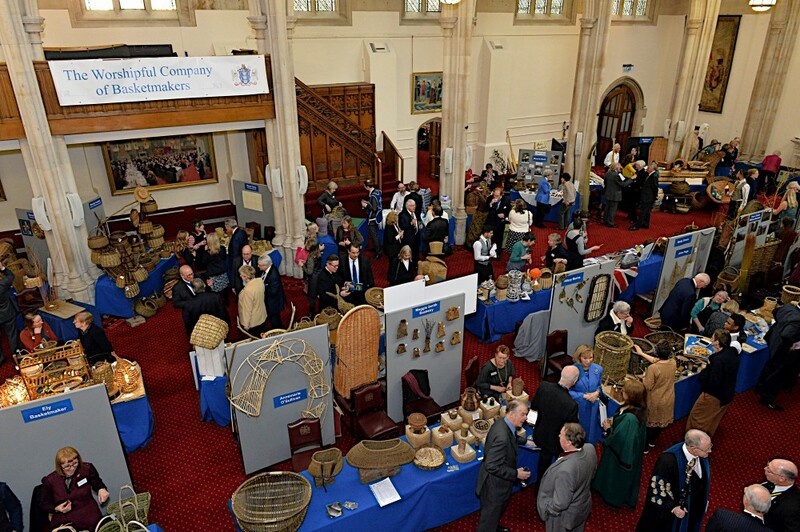 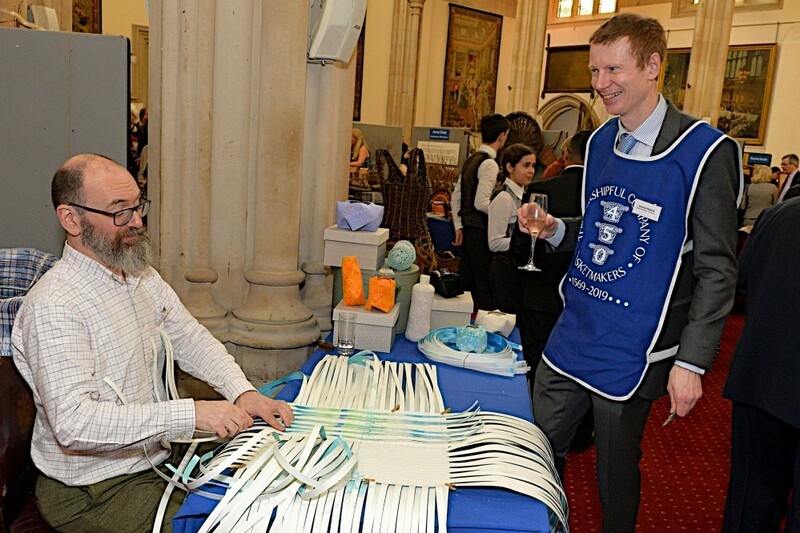 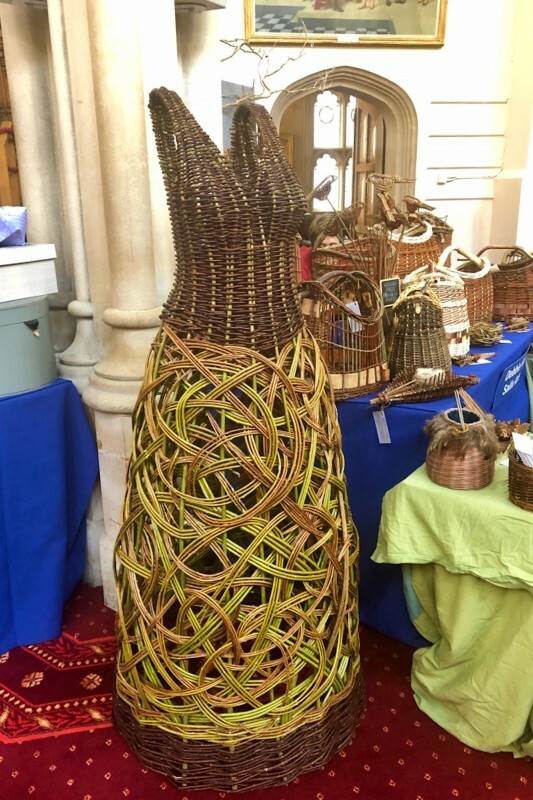 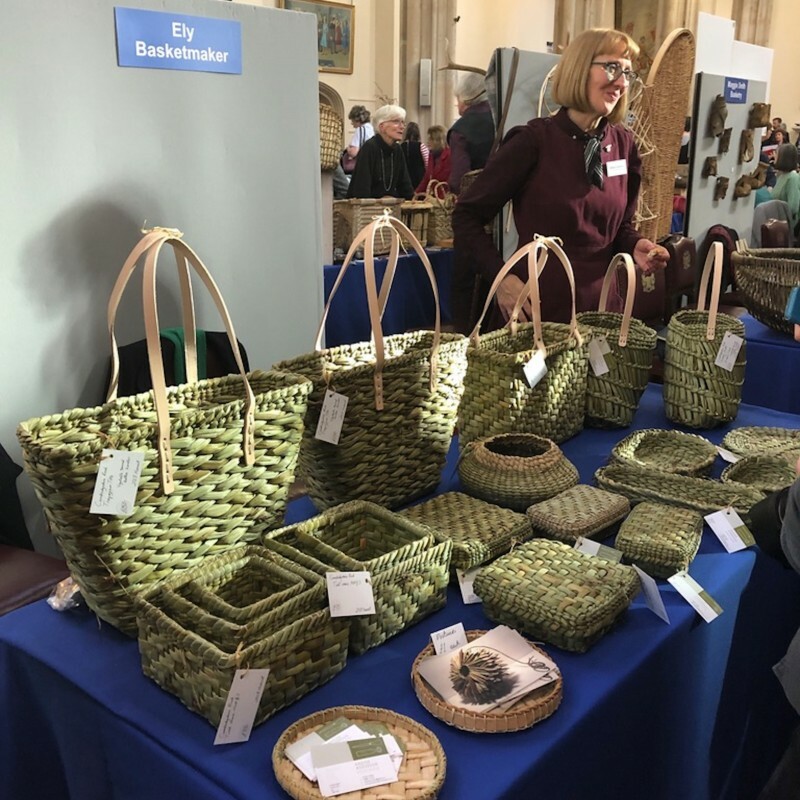 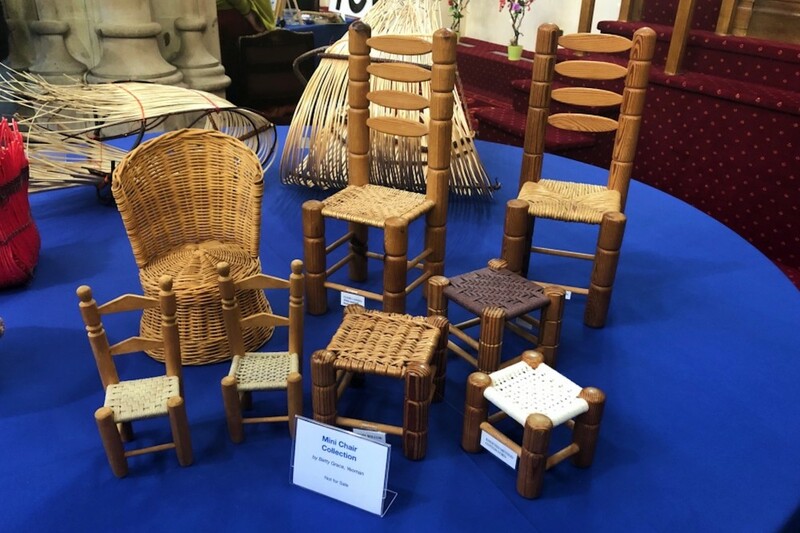 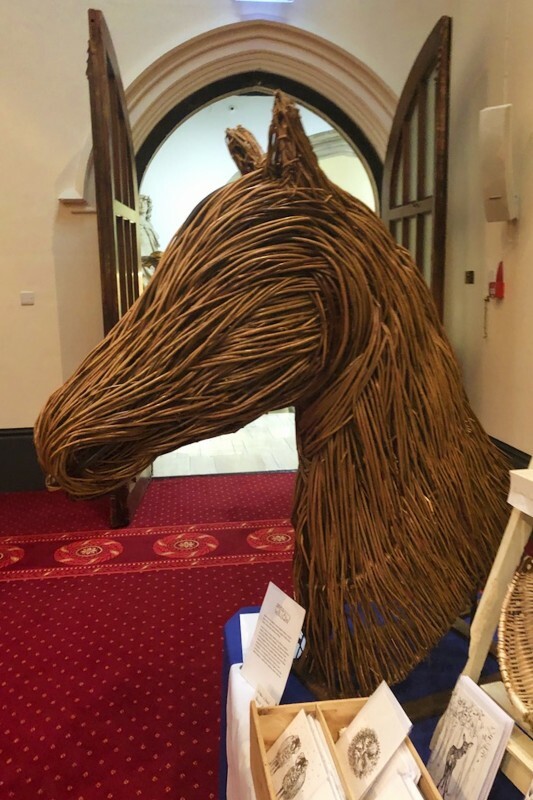 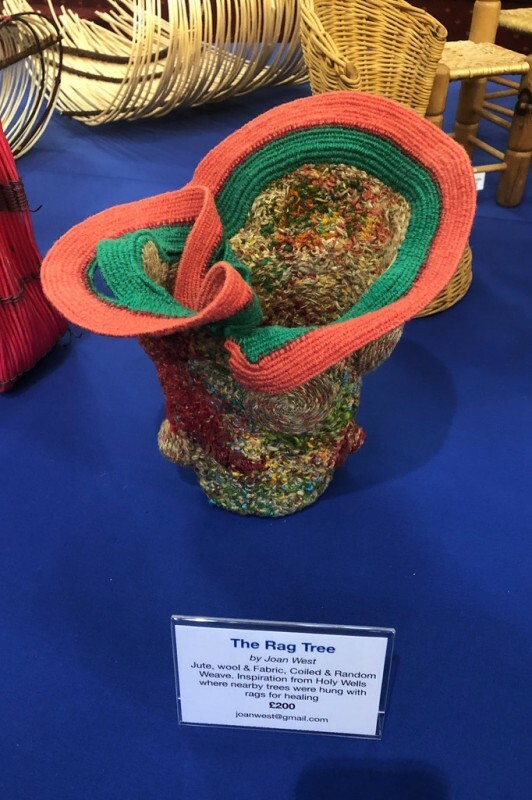 The Company held a grand Trade Fair ‘Basketry: Weaving the Cycle of Life’ in The Old Library at Guildhall on Tuesday 19thFebruary, 2019 to celebrate the 450th anniversary of the foundation of the Company in 1569. 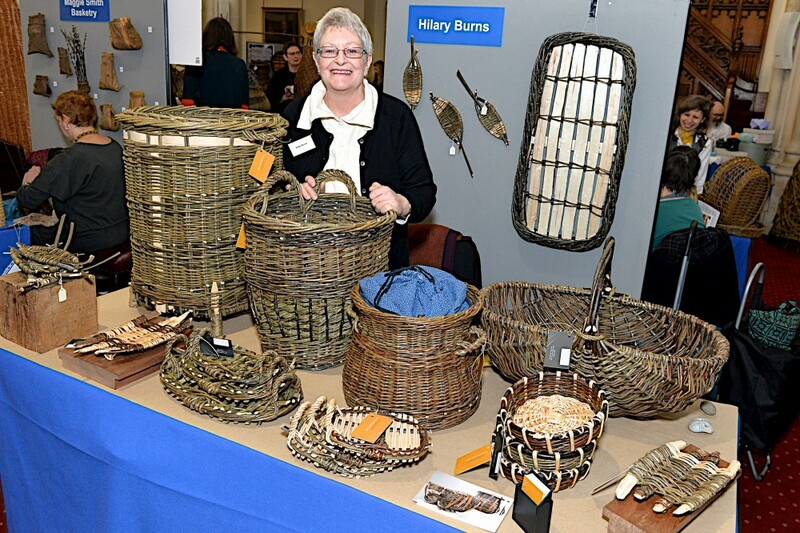 Over 40 stallholders from all over the UK showed that basketry today goes way beyond just a basket. 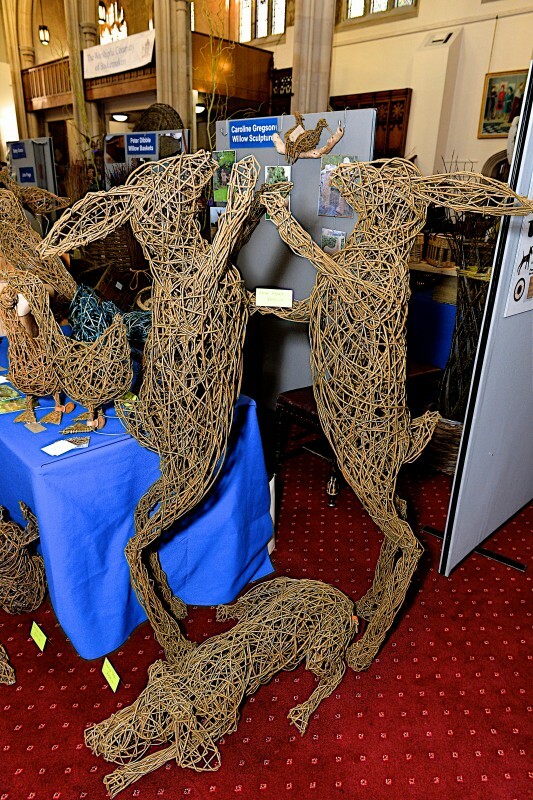 From Coracles to Mad March Hares there were the most wonderful displays. 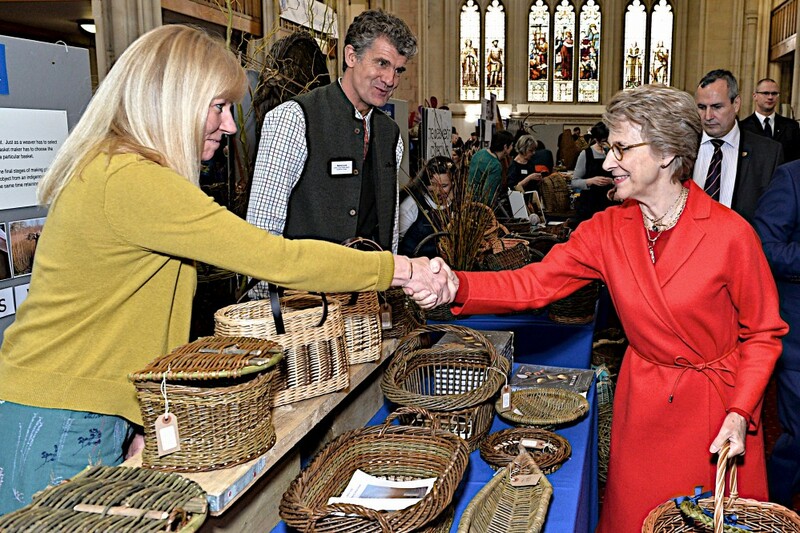 ​​​​​​​The Fair was opened by HRH The Duchess of Gloucester GCVO and guests from most of the other 109 Livery Companies attended. 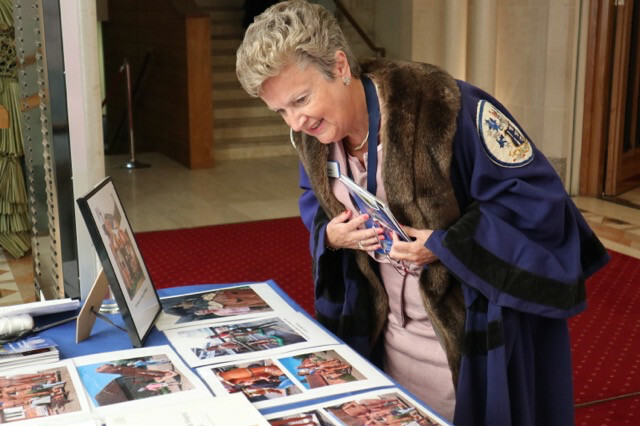 It was a very special day in the history of the Company. 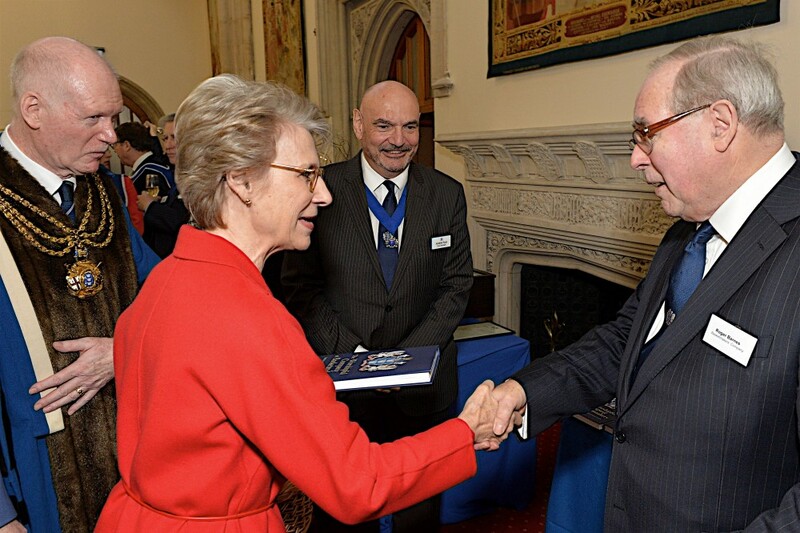 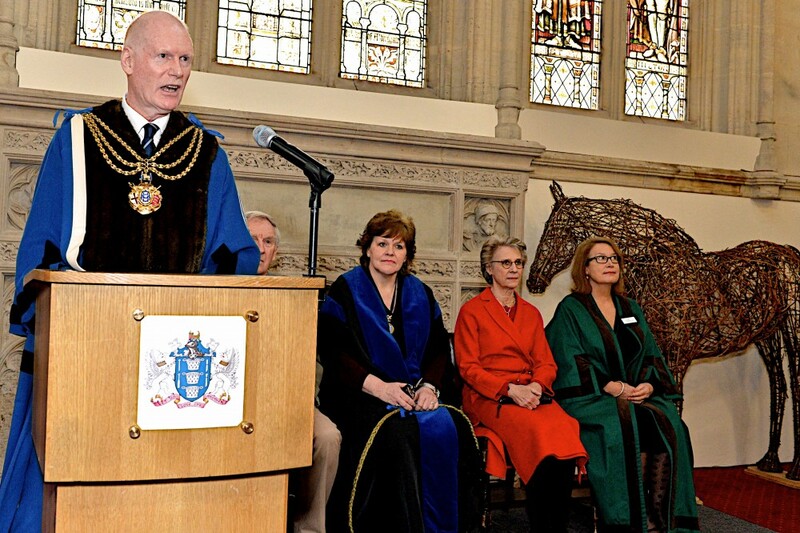 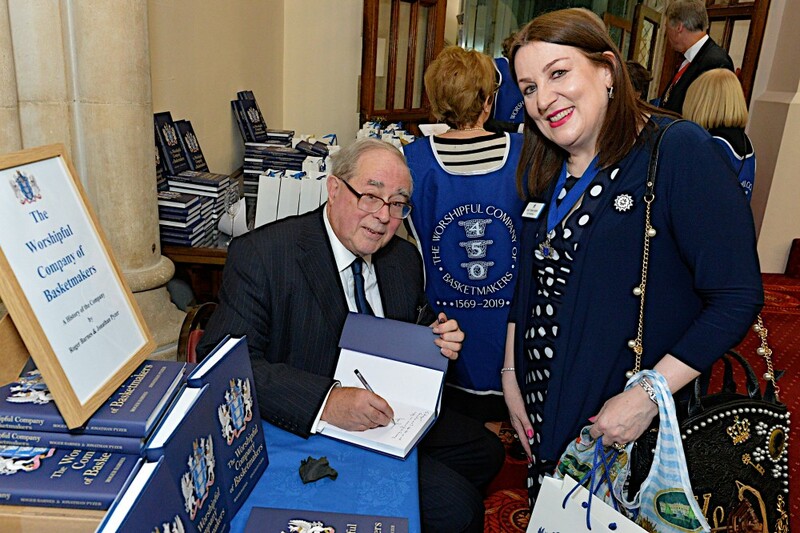 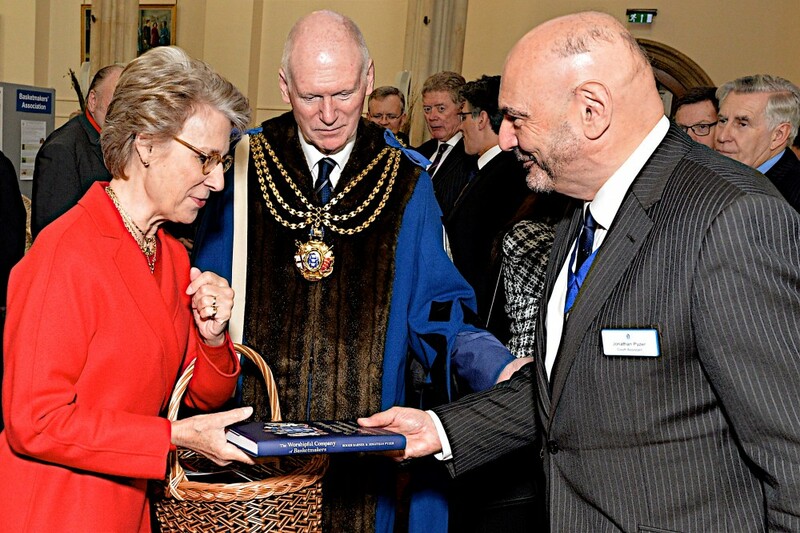 ​​​​​​​At the same event the new History of the Company book written by Court Assistant Jonathan Pyzer and Liveryman Roger Barnes was launched at the event. 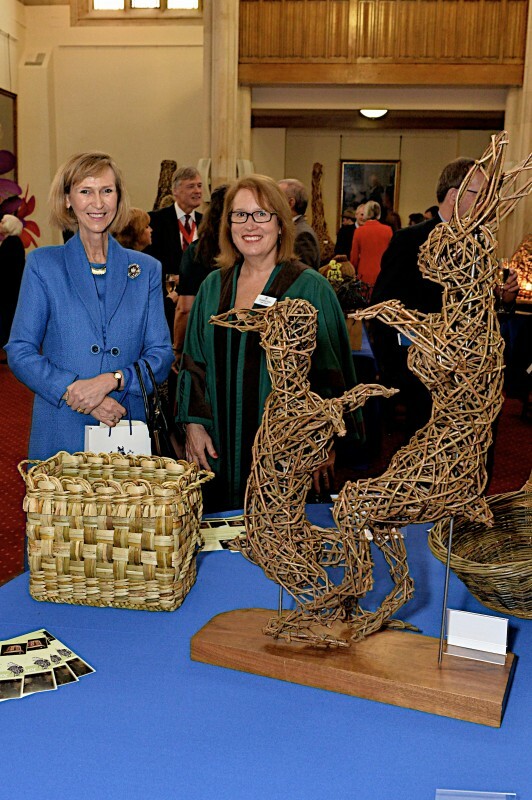 HRH Officially opening the Fair with Clerk, Fiona Janczur and Trade Advisor, Christiane Gunzi offering a rush plait. 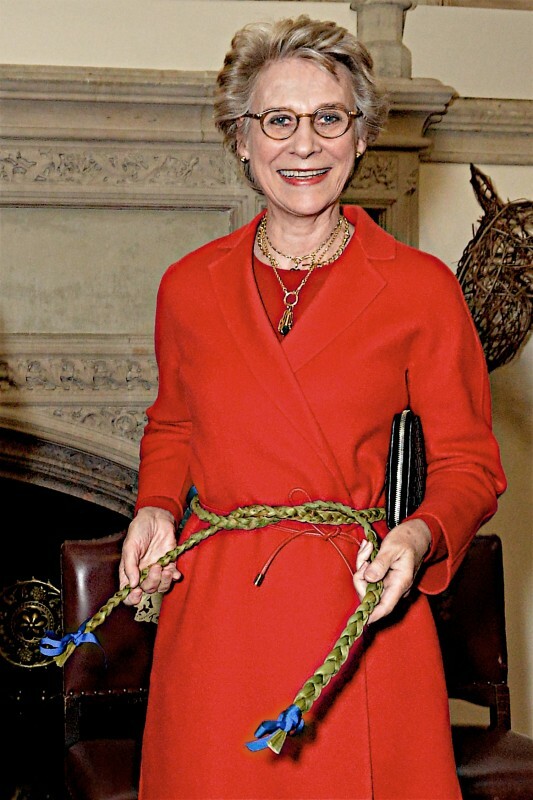 ​​​​​​​instead to wear it as a belt. 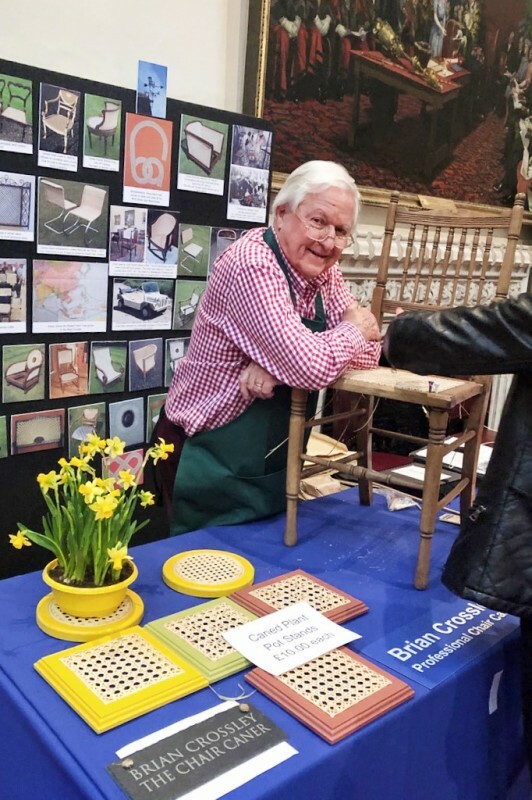 The end of a successful day! 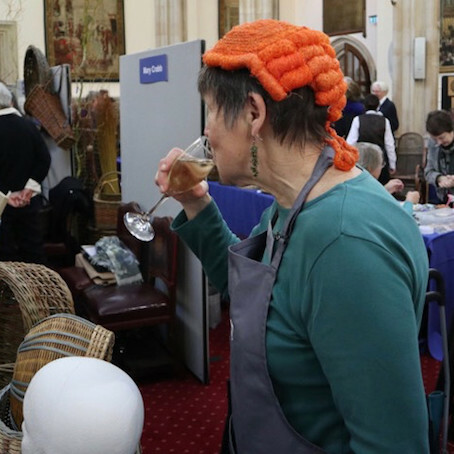 We are grateful to everyone who helped make it such an enjoyable and successful day. 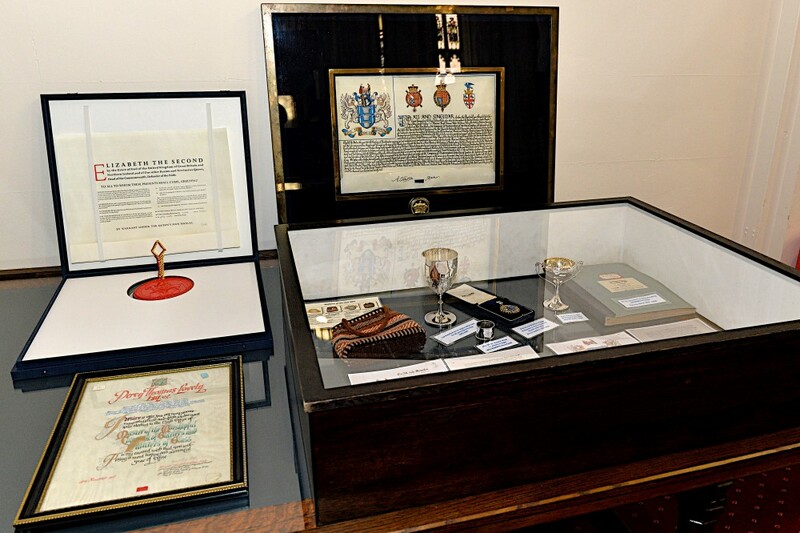 The following images at the end of the day were captured by Liveryman Margaret Burgess. 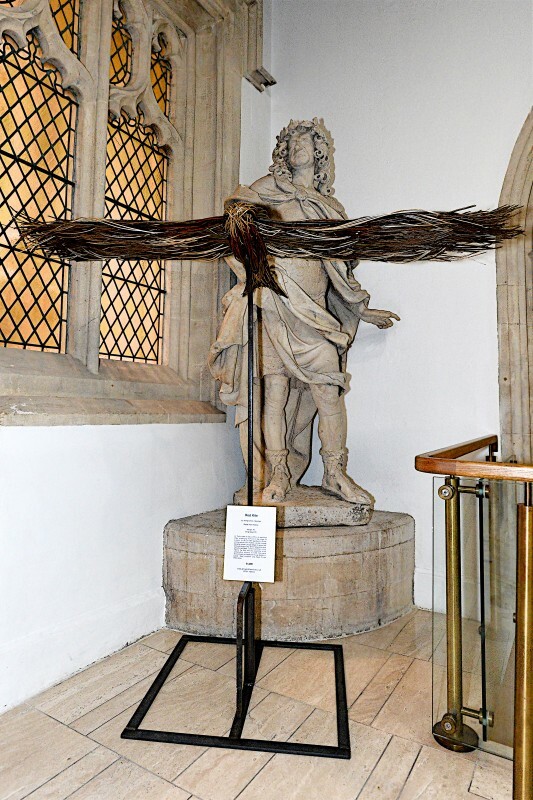 ​​​​​​​and the first one of our 450thyear. 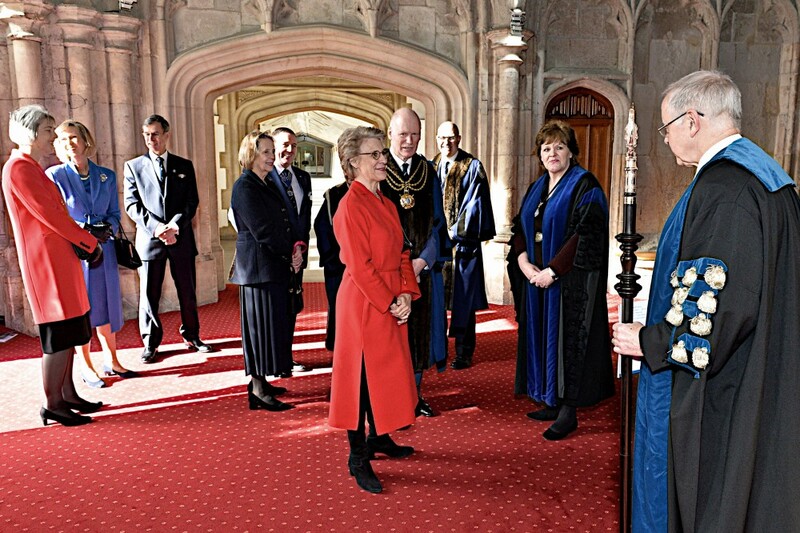 ​​​​​​​the Prime Warden’s granddaughter, Jenny, and the Prime Warden’s daughter was also clothed in the Livery. 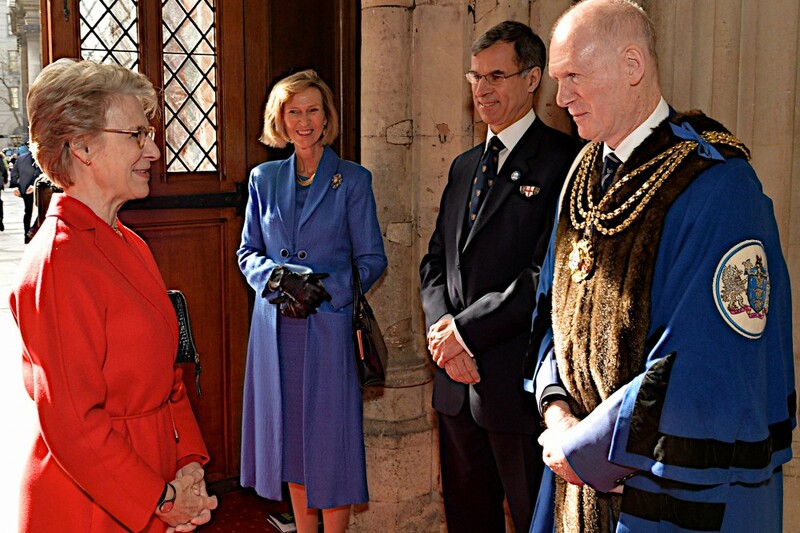 of the Battalion also attended the dinner. 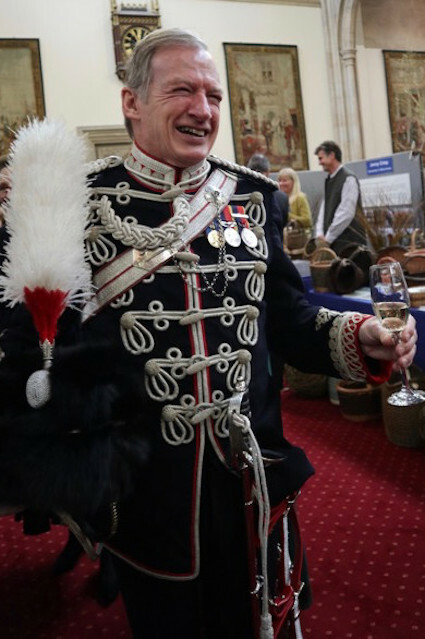 The guest speaker Brigadier Charlie Collins DSO OBE has also been in the Rifles but is now Assistant Chief of Staff J5 PCHQ. 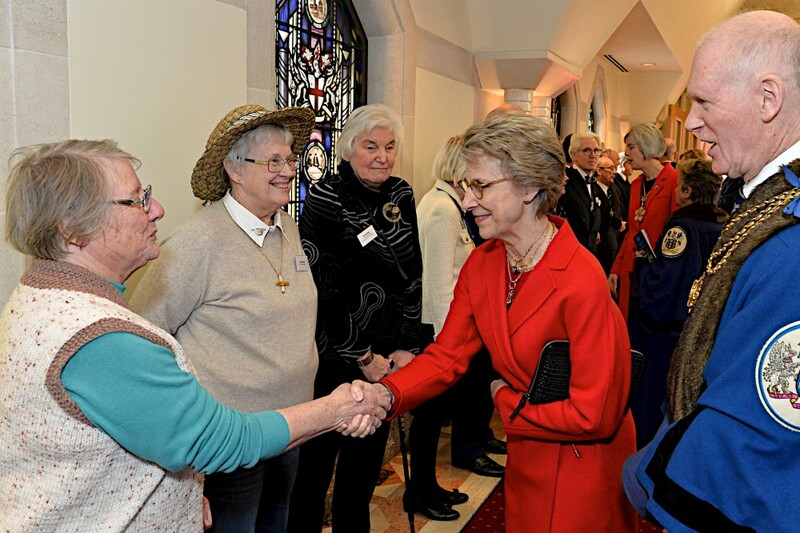 The Company were honoured to host all these military guests. 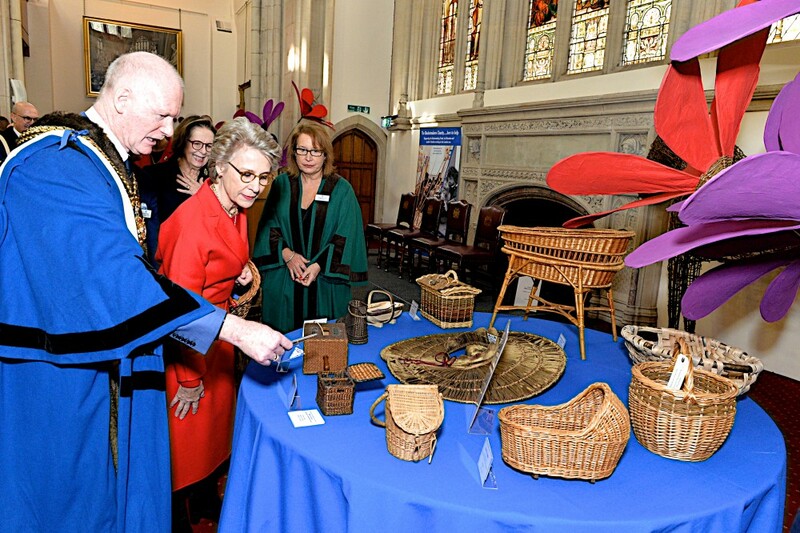 Visiting Masters from the Wheelwrights, Pattenmakers and Tobacco Pipemakers’ Companies all received themed baskets made by Yeomen Members. 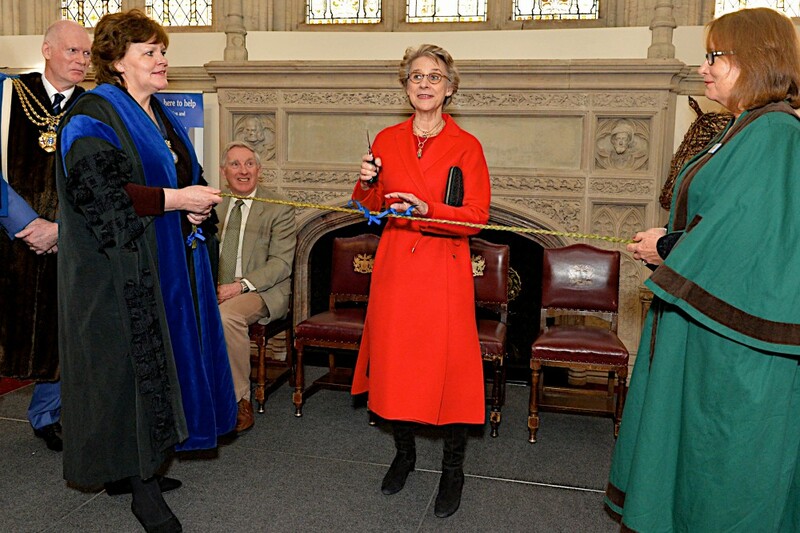 The evening was a wonderful start to this special year. 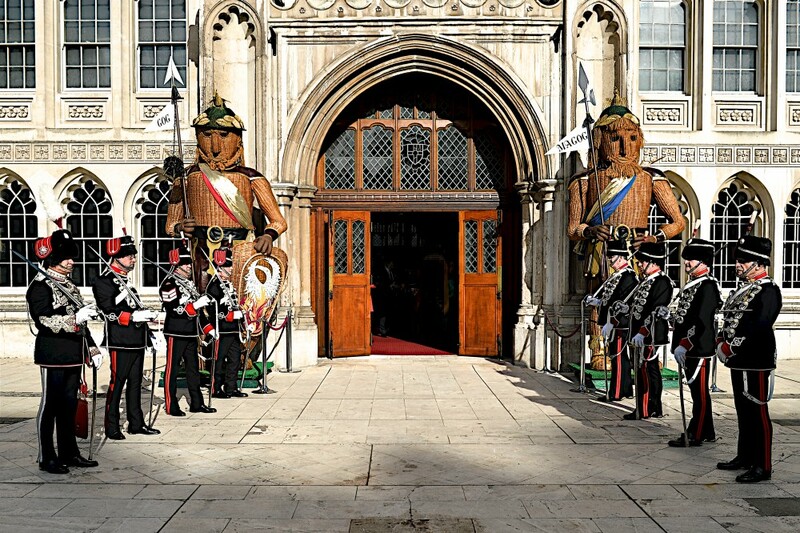 To launch the 450thAnniversary celebrations the Company had a float in this year’s Lord Mayor’s Show on Saturday 10thNovember. 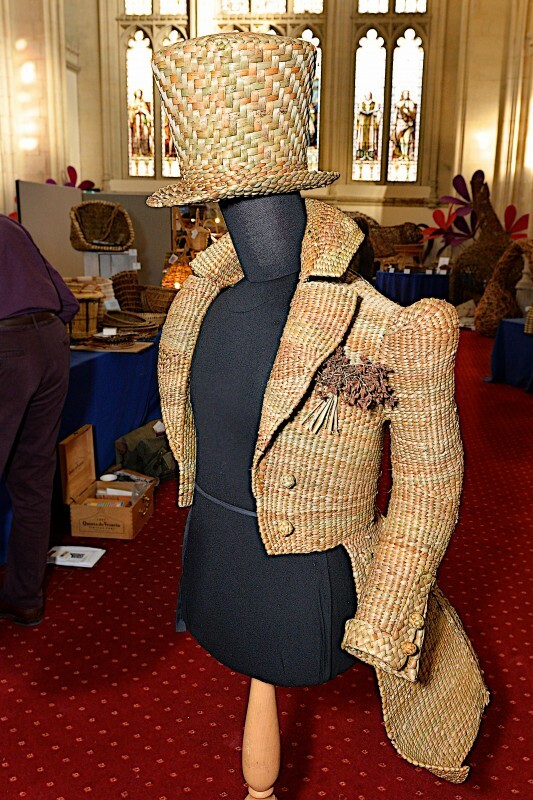 ​​​​​​​worn by her and Prime Warden Chris Hipkins' Consort, Mike Horton, which attracted much attention on route. 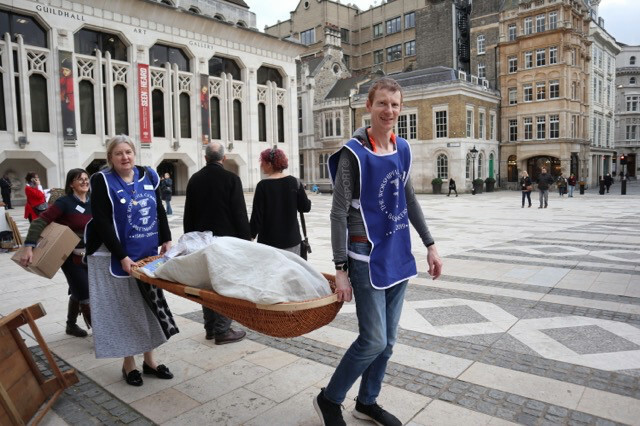 Those on the bus and walking alongside wore special 450 tabards and carried special edition 450thAnniversary umbrellas. 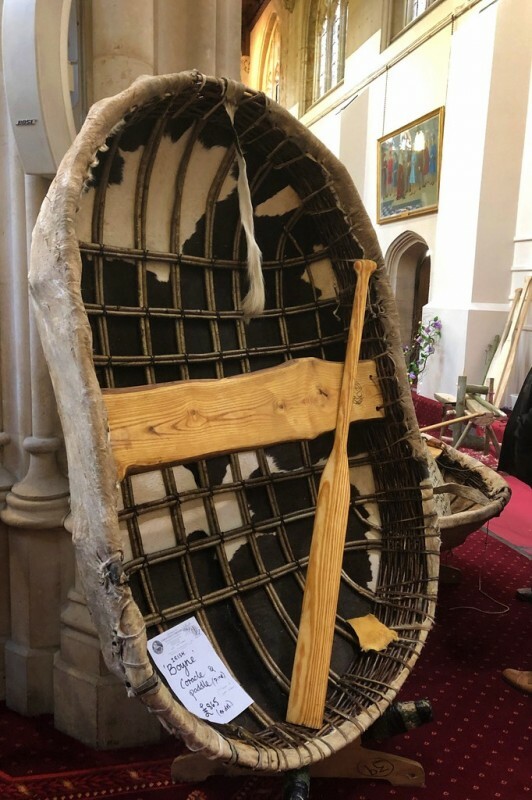 The Company float followed directly behind Gog and Magog in the procession, which also had Members of the Company walking with them, ​​whilst the Giants were pulled by the Guild of Young Freemen. 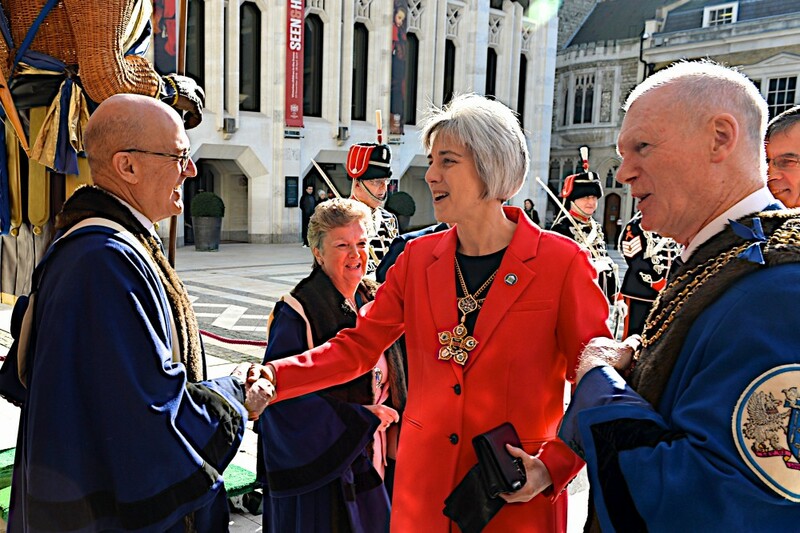 Everyone involved very much enjoyed the day, the sun shone throughout the procession and it was a wonderful start to a very special year for the Company. 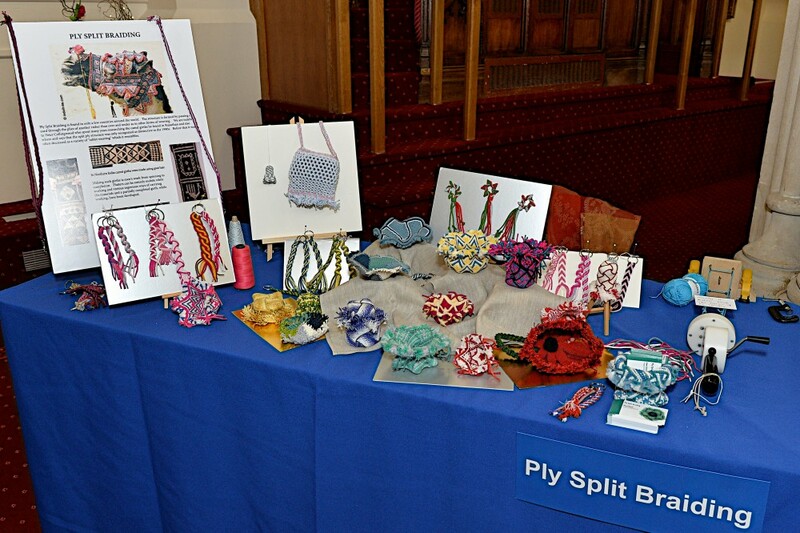 The photos below are just a small sample from the day, more will follow. 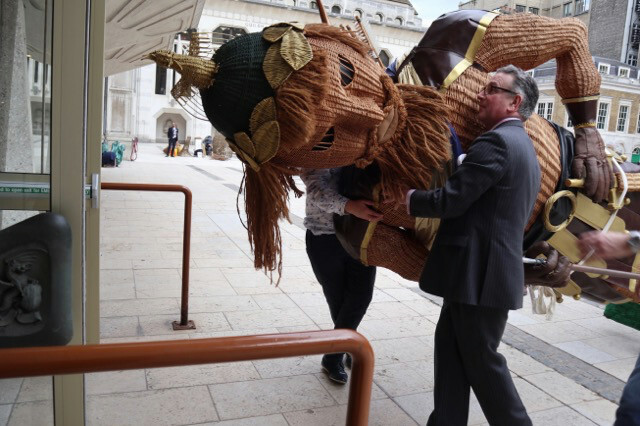 A little hiccup with the bus, thank goodness 7 Rifles were behind our float to kindly give a push! 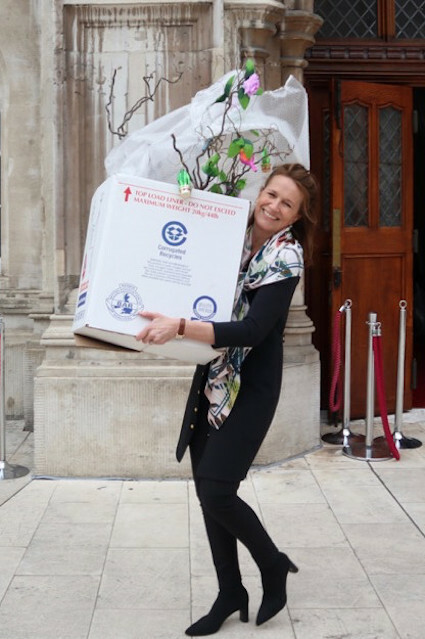 Installation Day is one of the most important days in the Company’s Calendar and this year took place on Wednesday 17thOctober. 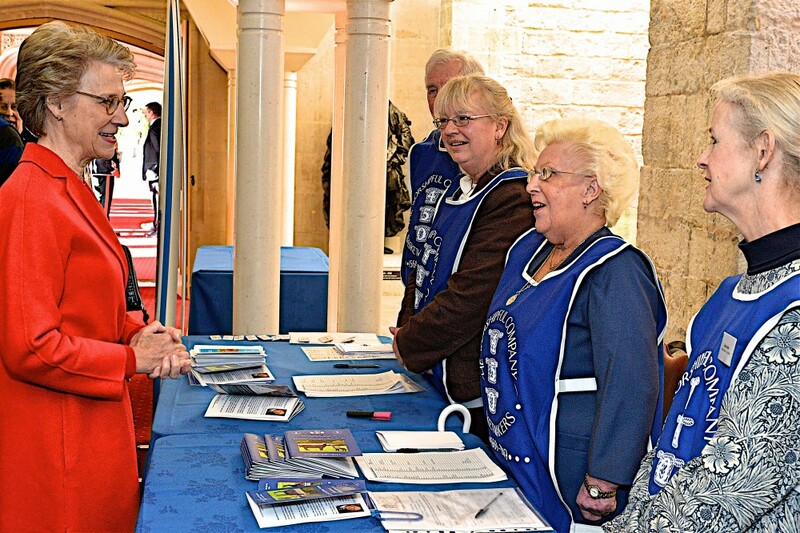 The day started with a Church Service at our Guild Church of St Margaret Pattens. 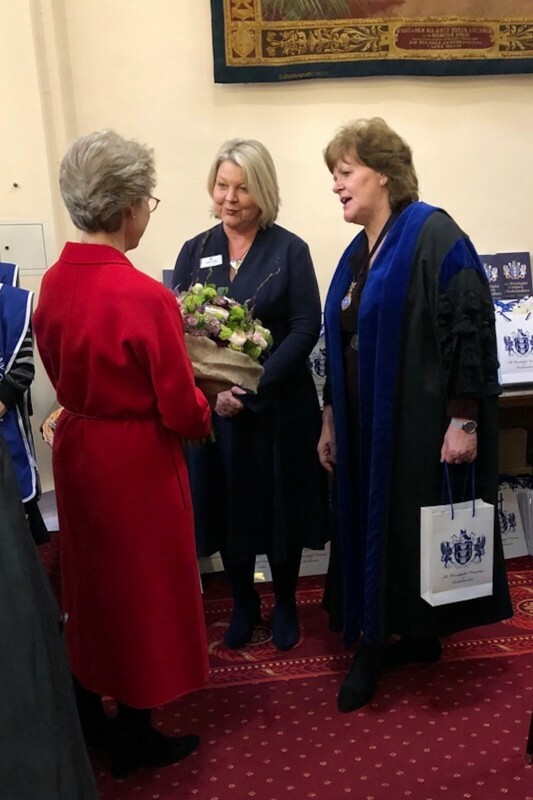 The Wardens, Past Prime Wardens and Court Assistants processed into the Church and with other Members of the Company took part in a lovely service, marking this special day. 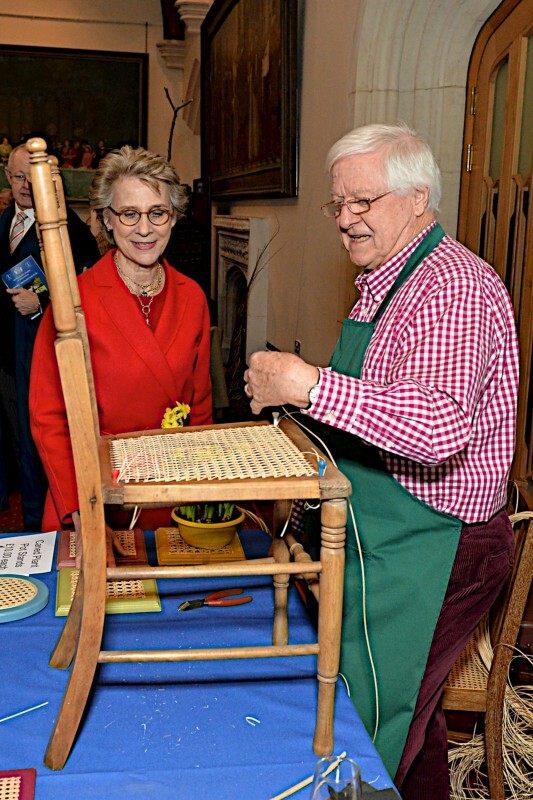 Anne Lofts and the Reverend Hugh Thomas were installed as the new first year Stewards. 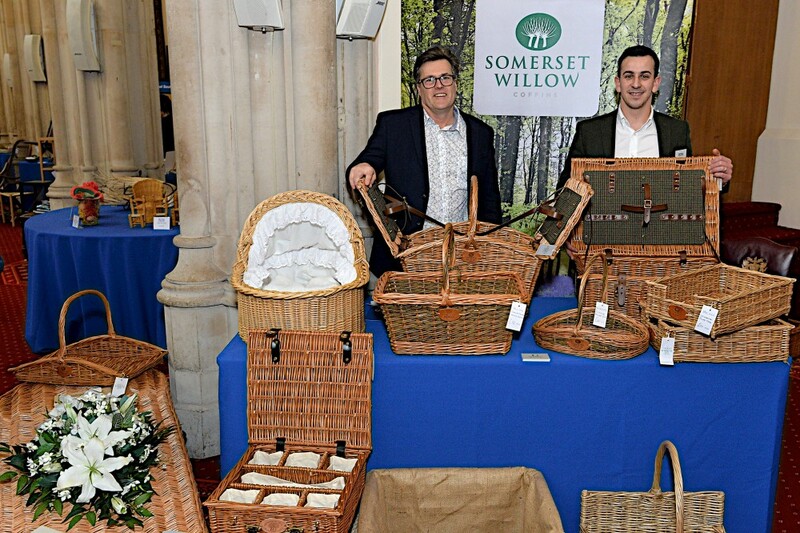 With the new team in place we look forward to the year ahead, a significant one in the Company’s history.